MJP20H – Miyakoshi America Inc. Integrate printing press and printer in one production line. Adding variable data on the same line while keeping full color print quality and productivity by existing offset, gravure, flexo printing. Enable to add variable data printing on existing production system without additional production process. 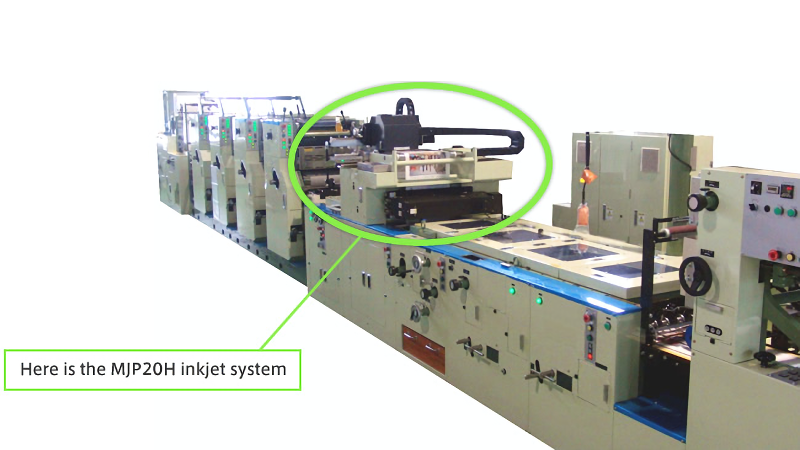 Low installation cost of variable printing system with high resolution + high production. Gives added value and increased production efficiency on existing system by using the same printhead as MJP series. Lowered initial cost of digital printing system with low cost variable printing that enables printing and character printing at the same time. Drastically reduced operator work with easy operations by adopting Windows base controller.